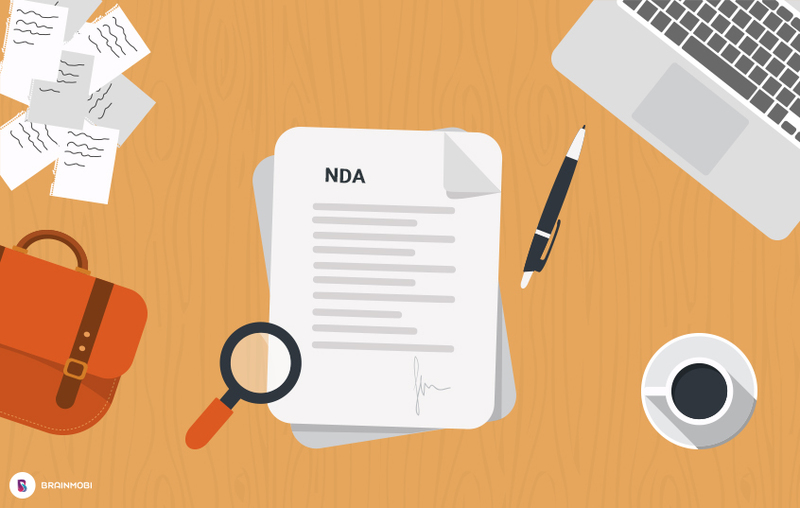 Why is NDA a Crucial Part of Mobile App Development? Mobile app development process has gained popularity in many folds which also lead the developers and companies become extra cautious about confidentiality breach. 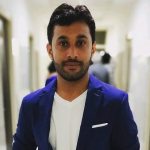 In present scenario where every minute cases of forgery and fraudulent become newsflash, security is the most important aspect for developers to bring down any scope for malicious activities. One of the most common ways to intact confidentiality across the process is Non-Disclosure elements. Before signing the NDA, clients and developers discuss A to Z of project development. NDA helps in reinforcing extra security and caution against any kind of confidentiality breach. Nowadays both app development service seeker and top mobile app developers prefer to choose NDA for a smooth transition of an idea into a mobile app. It is a complete manuscript of obligations, terms and conditions that the either end has to meet while being covered under the NDA contract. It’s an enclosure that marks down all possible consequences relevant to any kind of security loopholes or indigence in guaranteed quality. In this blog post, we have tried to address some of the well-sorted questions that receive maximum traction from user around the world. Along with surrounding aspects, let’s hit the cord and explore more about the terminology and the importance across a mobile app development project. Also known as a proprietary information agreement (PIA), confidentiality agreement (CA), confidential disclosure agreement (CDA) or secrecy agreement (SA), Non-disclosure agreement is a legal contract between at least two parties that outlines confidential material, knowledge, or information that the parties wish to share with one another for certain purposes, but wish to restrict access to or by third parties in the course of their relationship. It is a contract signed by the parties for the proprietary information protection and maintains business’s competitive advantage. A Non-Disclosure Agreement (NDA) is signed to protect trade secrets, from getting into the wrong hands. As such, an NDA protects nonpublic business information. Get it in writing before sharing any confidential information, so both parties understand their duties and privileges. There are three types of agreement you can choose from as per your project. A non-disclosure agreement (NDA) may be classified as unilateral, bilateral, or multilateral. These are described below in detail. A unilateral NDA involves two parties where the disclosing party anticipates disclosing certain information to the other party i.e; the receiving party and requires that the information is protected from further disclosure for some reason. For instance, limiting disclosure of information, maintaining the secrecy necessary to satisfy patent laws or legal protection for trade secrets, or simply ensuring that a receiving party does not use or disclose information without compensating the disclosing party. When you choose a bilateral NDA, both the parties anticipate disclosing information to one another that each intends to protect from further disclosure. This type of NDA is popular among businesses where some kind of joint venture or merger happens. A multilateral NDA can be advantageous because the parties involved review, execute, and implement just one agreement. However, this advantage can be offset by more complex negotiations that may happen to reach a unanimous consensus on a multilateral agreement. What are the advantages of a non-disclosure agreement (NDA)? A non-disclosure agreement depending on their particular circumstances allows the parties to tailor their confidentiality obligations, terms and conditions on when those obligations are applicable till the contract terminates etc. A non-disclosure agreement enables the parties to define “confidential information”. For example, confidential information may include trade secrets or any information or document about, or in any way relating to the disclosure in, any media or form that is acquired by, or made available to, the recipient in the course of the relationship between the parties. A non-disclosure agreement can include provisions dealing with the consequences of the recipient breaching the non-disclosure agreement. In addition to damages for breach of the non-disclosure agreement, the disclosure will likely be permitted to apply to a court to seek injunctive relief preventing the recipient from further disclosing the confidential information in breach of the non-disclosure agreement and the recipient will be responsible for any costs incurred by the disclosure in seeking any such relief. A non-disclosure agreement can be entered into by parties for the purpose of their undertaking due diligence or to protect confidential information during preliminary discussions, which could later lead to the parties entering into an agreement containing confidentiality obligations. A court is unlikely to protect as confidential a trade secret, document or information that the owner of that confidential information has failed to protect by entering into a non-disclosure agreement. A court would also be more likely to grant relief to an owner of confidential information in circumstances where the owner has attempted to protect that information from being disclosed. When should you sign a non-disclosure agreement (NDA)? NDAs are commonly signed when two companies are considering doing business with each other and need to exchange information to benefit the partnership. For instance, when presenting a business idea to an investor or lender, outsourcing services, in the manufacturing process, treating personal data or several other similar situations, being the non-disclosure contract signed together with any other business, labour or service contract signed between entities and/or individuals. A mutual NDA restricts both parties in their use of the materials provided; alternatively, an NDA can also exclusively restrict the use of material by one of the individuals or groups involved. Employers often request that an employee signs an NDA or a similar form of contract when he or she commences employment, or a new assignment, in order to maintain confidentiality. At BrainMobi, we prefer to sign NDA for mobile app development services under minimal rates. Apart from security factors, we make sure that agreement also holds great clarity about all the terms and conditions which can be checked at any instance during the development process.